Whistleblower will be held to force her testimony in secret case investigating WikiLeaks. Chelsea Manning, who spent more than three years in prison for leaking US military secrets to WikiLeaks, was jailed again Friday for refusing to testify in a grand jury investigation targeting the anti-secrecy group. Judge Claude Hilton ordered Manning to be held not as punishment but to force her testimony in the secret case, according to a spokesman for the US attorney in the Alexandria, Virginia federal court. 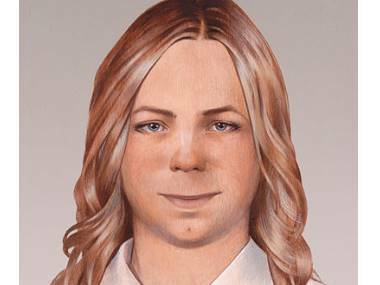 "Chelsea Manning has been remanded into federal custody for her refusal to provide testimony" to a grand jury, said a statement from The Sparrow Project, a support group for Manning. They cited Hilton as saying Manning would be held indefinitely "until she purges or the end of the life of the grand jury." Manning was ruled in contempt of court after refusing earlier this week to testify before a secret grand jury that is investigating actions by WikiLeaks and its founder Julian Assange in 2010, according to her own description, inadvertent court revelations and media reports. In that year Manning, a transgender woman then known as Bradley Manning, was a military intelligence analyst who delivered more than 700,000 classified documents related to the wars in Iraq and Afghanistan into WikiLeaks' hands. She became a hero to anti-war and anti-secrecy activists and her actions helped make WikiLeaks a force in the global anti-secrecy movement. In 2013 she was sentenced to 35 years in prison. Then-president Barack Obama later commuted her sentence, leading to her release in May 2017. Manning's lawyer requested home confinement after the judge found her in contempt, the US attorney's spokesman said. But prosecutors assured Manning that the Alexandria Detention Center where she will be held is experienced in holding transgender inmates and fully capable of addressing any special personal and medical needs she has.